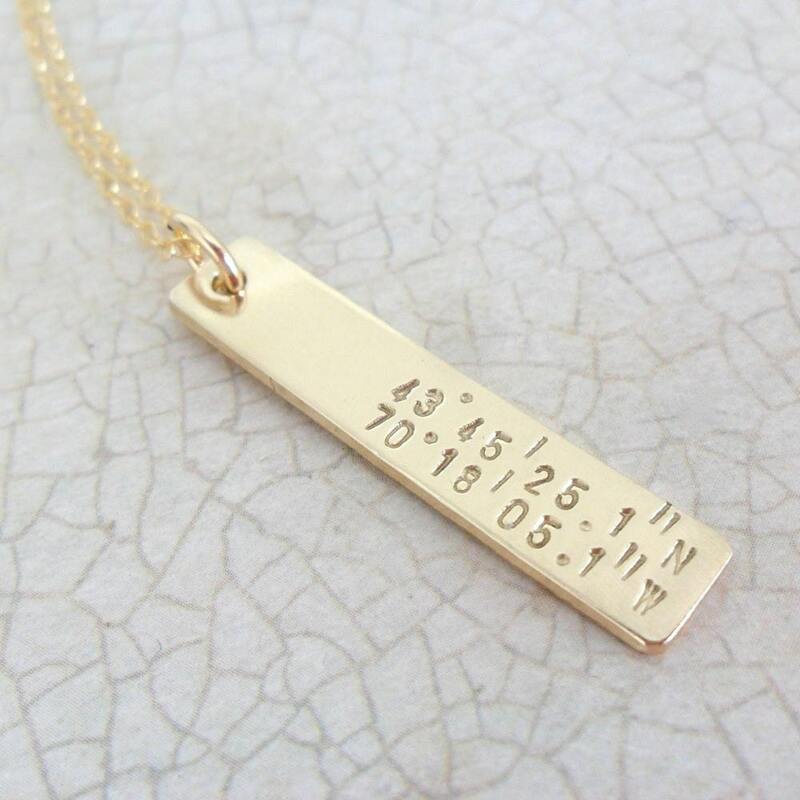 A beautiful way to commemorate a special place in your life! 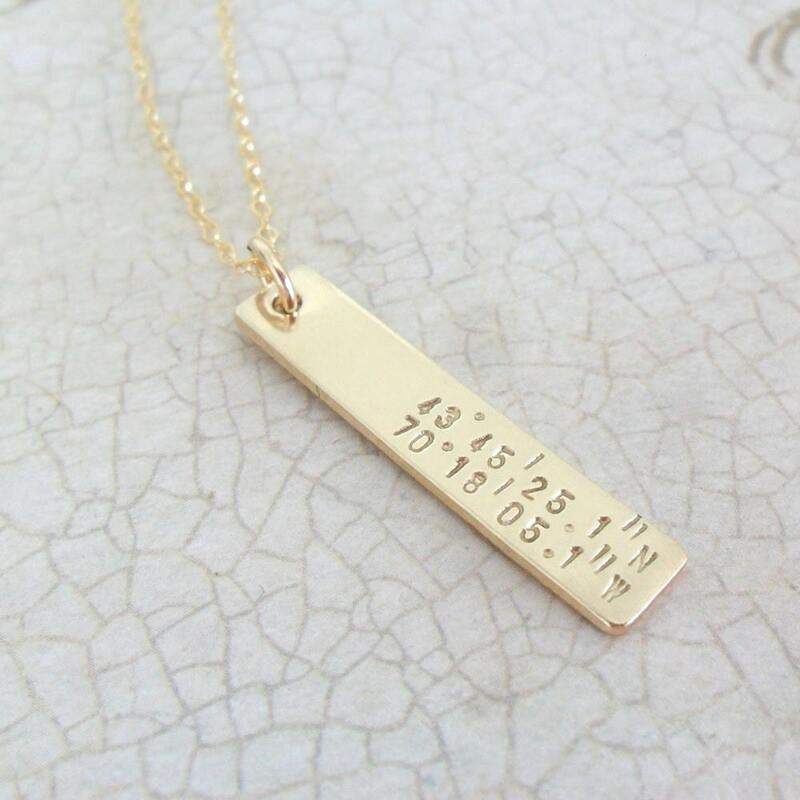 This necklace is the perfect keepsake for engagements, weddings and housewarmings, among other special life events. 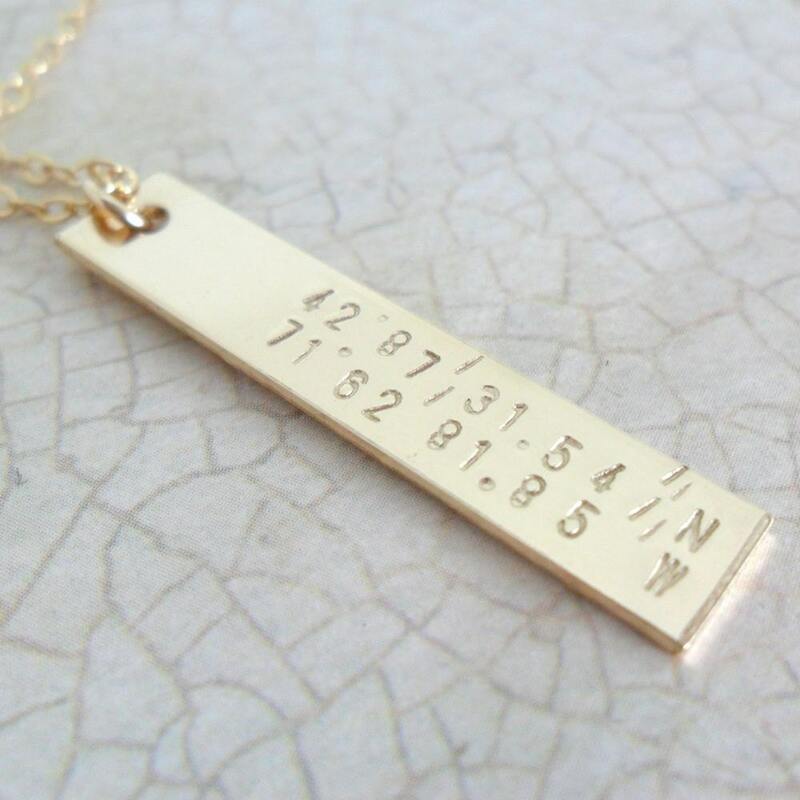 A 18 gauge thick, 14k gold fill pendant measuring 1/4" x 1 1/4" will be hand stamped with the location of your choice. Pendant is paired with a gorgeous gold fill delicate cable chain in your choice of 16", 18" or 20" long. 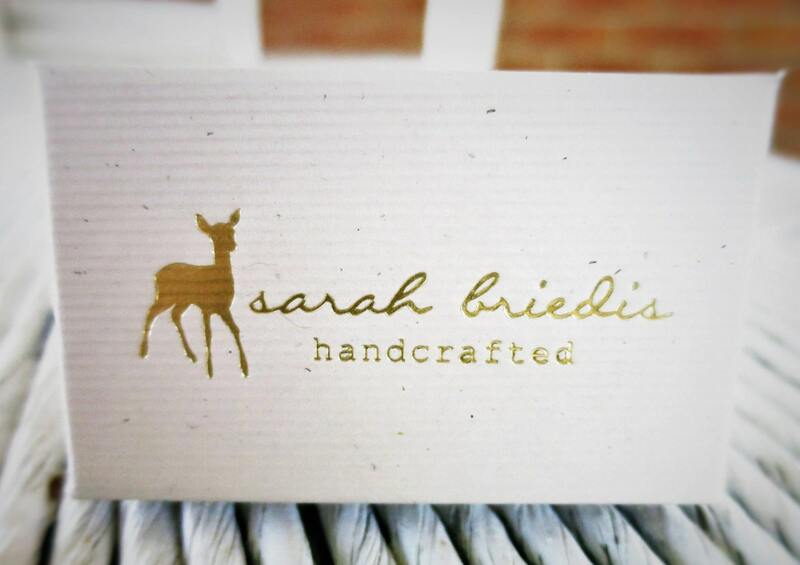 Please note that format is up to you--specify the text you would like in the note space provided at purchase. If you would like the words "lat" and "long" or if you would like "N", "W", etc. 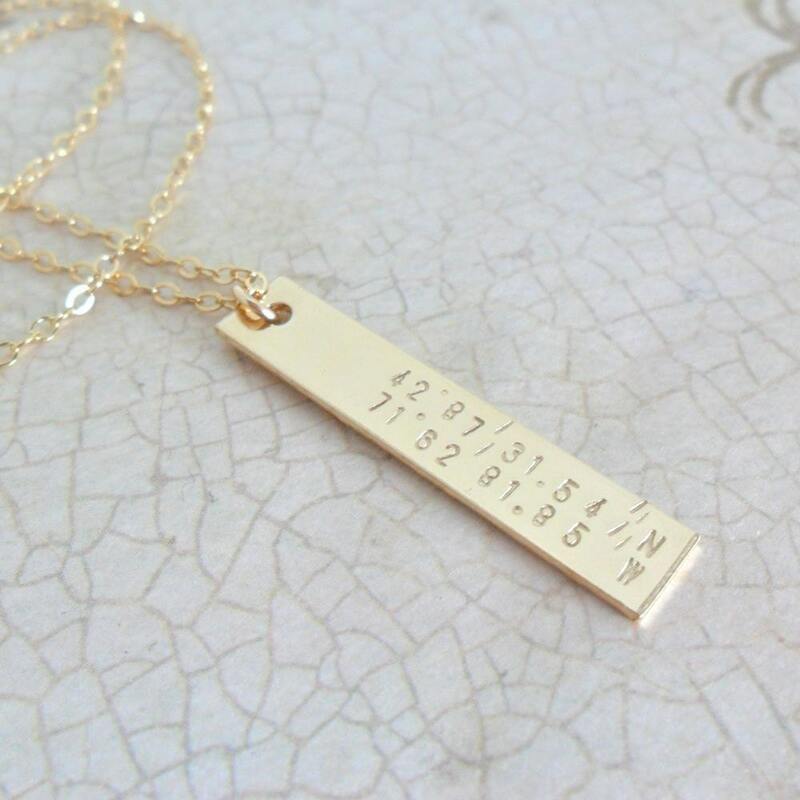 please write exactly as you would like your piece hand stamped.